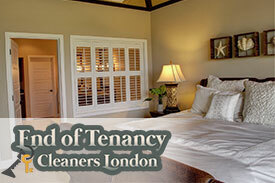 We are experienced end of tenancy cleaning agency based in Fulham, SW6 London. If you have ever changed your home, then you probably know how exhausting, time consuming and difficult this process is. It usually takes a couple of days to get everything done, but it can take even more if you are living in a rented property in Fulham. Moving out of a rented property is a bit difficult because you have to make sure that your old place is in perfect condition and can pass the inspection of your landlord. If you want to save yourself a lot of time and energy, then you should take a look at our professional end of tenancy cleaning service. We’ve been offering it for a few years and so far we haven’t received any complaints about the job we do. Each one of our customers in SW6 Fulham has been completely satisfied with the result and this is the best guarantee for the quality and reliability of our end of tenancy cleaning service. Its price is very competitive as well and we are confident that it can be afforded by clients with a small budget. Our cleaning teams in Fulham work all days of the week, including weekends and bank holidays. 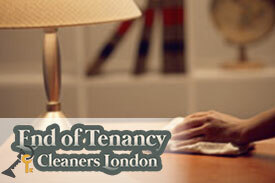 You can also combine the tenancy cleaning package with professional cleaning of carpets, upholstery, rugs and sofas.